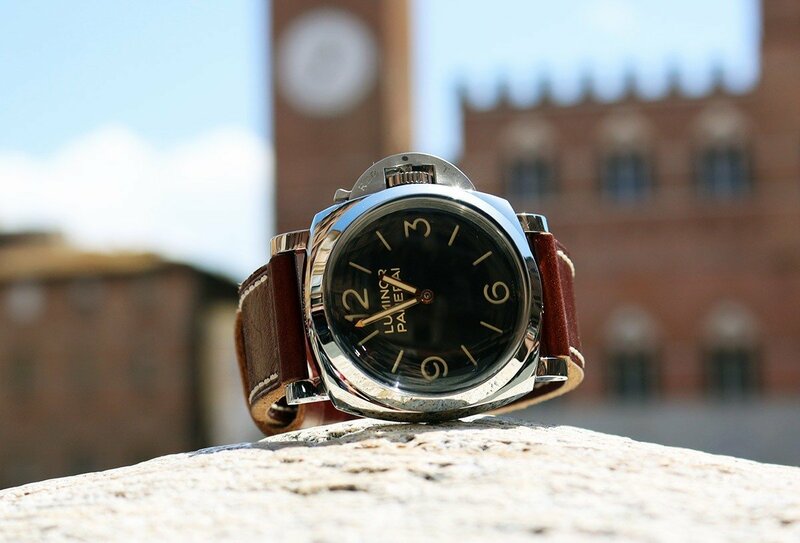 A basic set of functions combined with elements corresponding with Officine Panerai’s history and own in-house movement. In other words, a simple recipe for success. 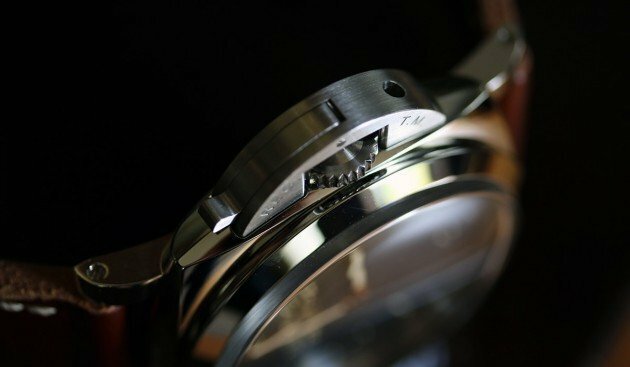 The offer to test PAM 372 just a few days before my trip to Italy turned out to be a really nice coincidence. I thought that apart from being able to test its functionality during the time of increased activity, but above all to feel a piece of history on my own wrist while standing in the exact place where it all began. Tuscan expedition turned into its little tour, which I must say, was a pleasure to my eyes and other senses, as well as the the Italian sun, Aperol Spritz and Mediterranean cuisine. 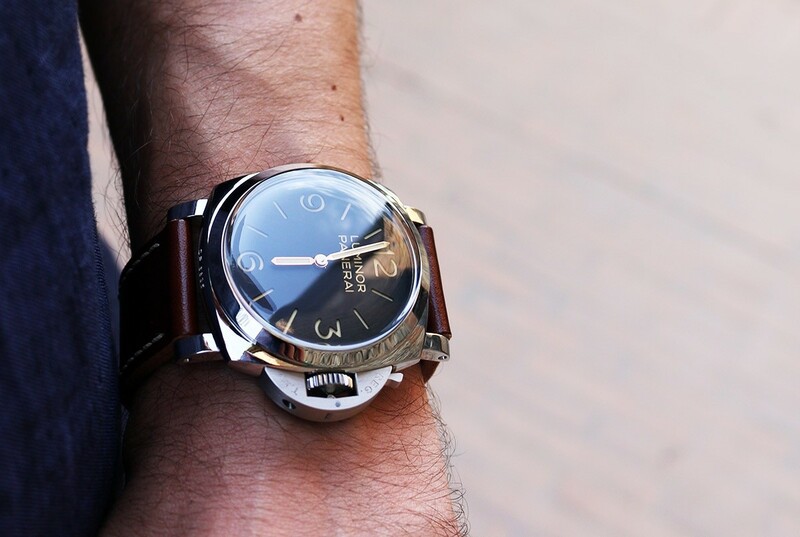 PAM372 has been one of the most popular models in Officine Panerai (OP) product range in recent years. To understand its phenomenon we need to go back several years. 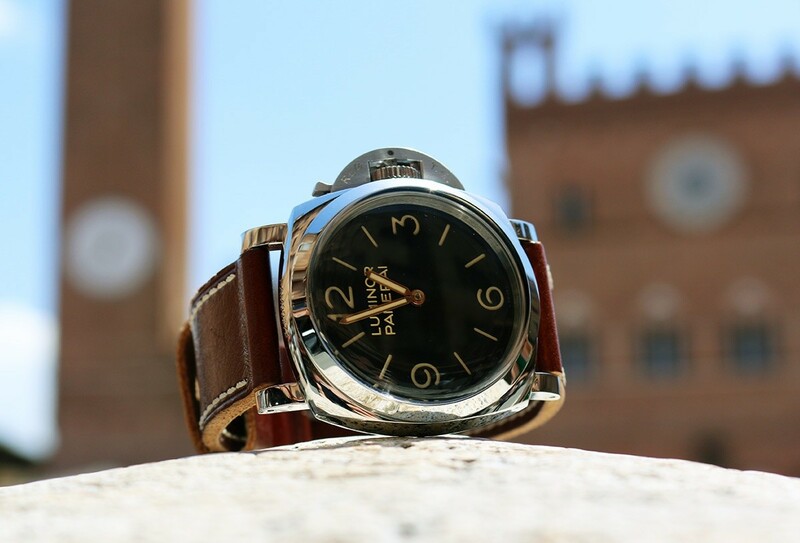 In 2002 OP as a part of Special Editions presented a 47mm, limited to 1950 pieces the Luminor 1950 model. 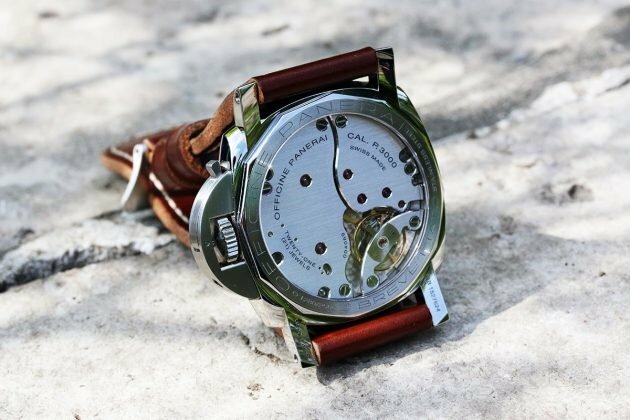 Described as the “Fiddy” watch, has quickly become very desirable by collectors, prices of second-hand units after 10 years since its launching are twice as high as they were, when it was introduced for the first time. 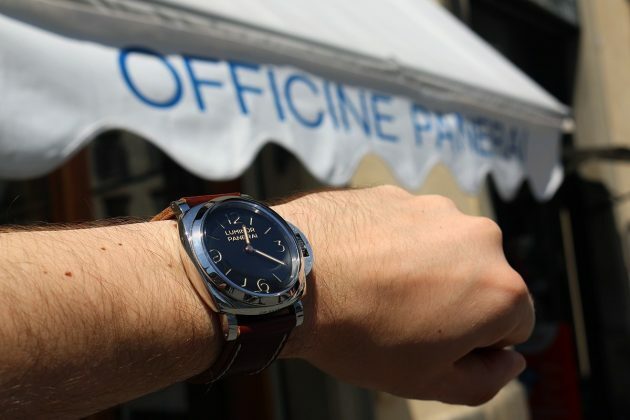 While writing about Panerai, on many occasions we mentioned about the manufacturer lovers, united on Paneristi forum. Position of this informal group of “fanatics” is so strong that OP often makes watches to meet their expectations, taking their suggestions into consideration. 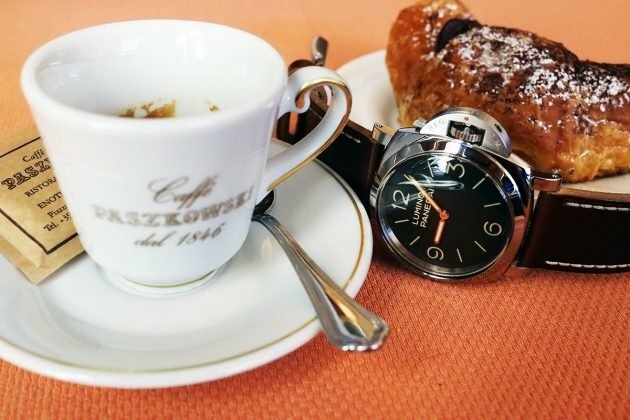 This is exactly what happened in case of the reviewed PAM372 – Paneristi members have been demanding unlimited Base Fiddy, i.e. basic functions only – hours and minutes. Their request was granted in 2011, when affordably priced Luminor 1950 3 Days was presented at SIHH by Panerai. 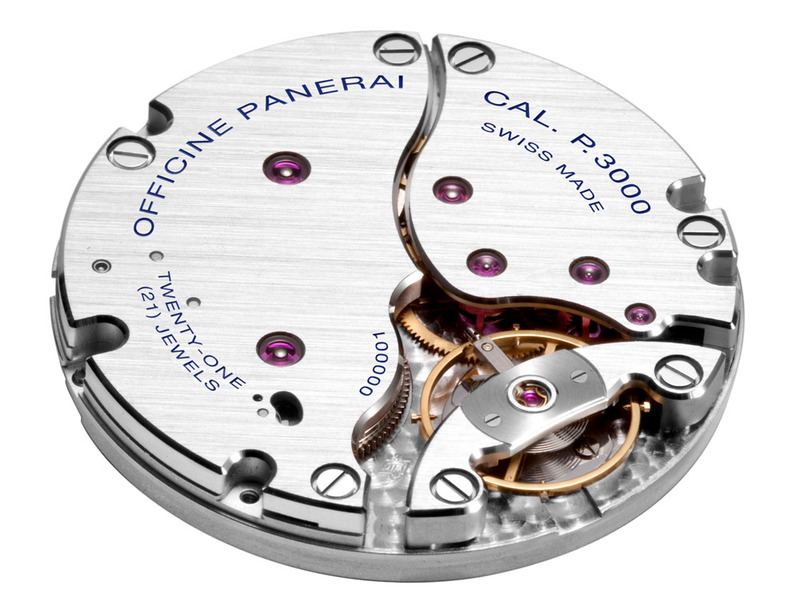 Design of this timepiece reassembles what’s best in Panerai’s DNA. Sandwich dial, i.e. 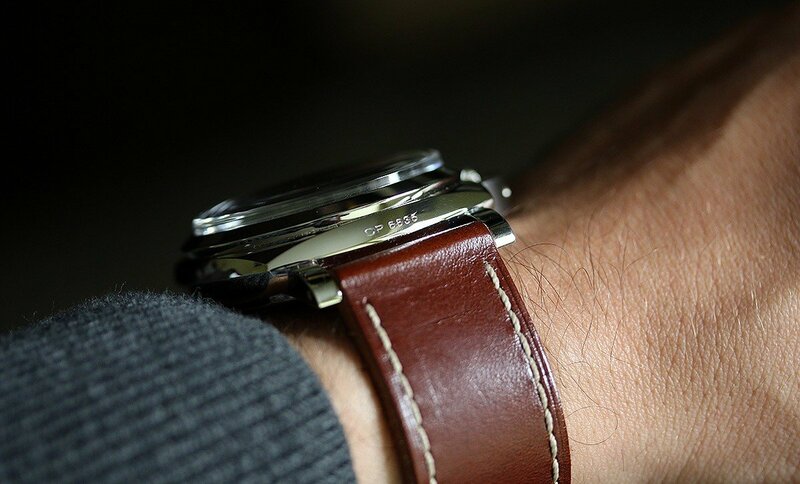 layered dial, in which, covered with luminous material bottom layer is visible through slots cut into the top black layer, along with its basic functions making it one of the most readable watches I have seen. 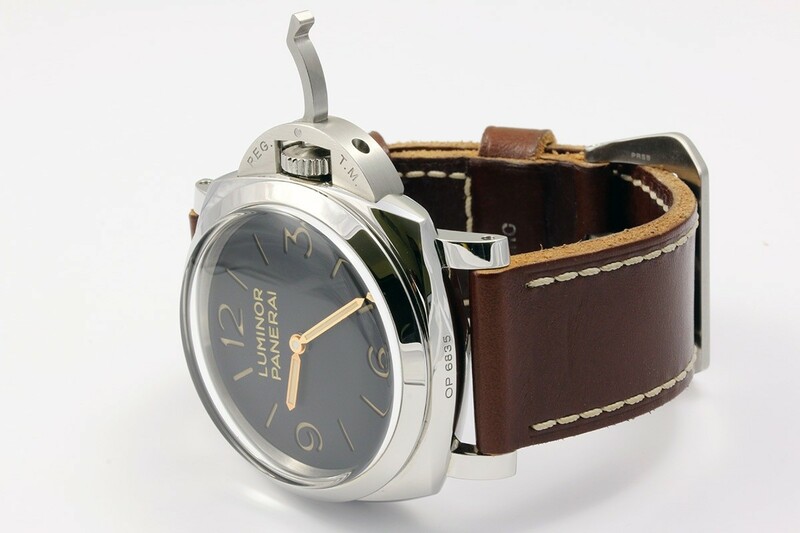 On top of that, distinctive for Luminor line crown’s protecting device with a little lever, a great big leather strap ended with a buckle with Panerai written on it, vintage gold-tone hands and 1950’s shaped case. I’m not surprised that this model has gained many fans and became a real hit. As far as the shape is concerned, Luminor 1950 3 Days has received so-called cushion-shaped case, reassembling a little cushion, associated rather with more elegant watches from Radiomir line. One thing is certain, if you expect it to fit under the cuff of your shirt, you might be disappointed. This timekeeper goes much better with a jumper or a t-shirt. The mechanical heart of this timepiece is designed and manufactured entirely at Officine Panerai in Neuchatel, hand-would P.3000 calibre, visible through a large sapphire-glass caseback. 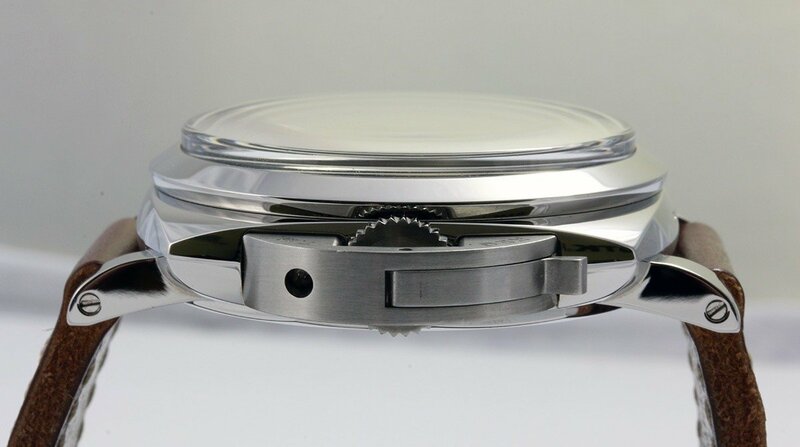 Let me just remind you that the movement is about 37mm wide and 5.3mm thick. It’s a lot, but to be create something that corresponds with historical models, Panerai could not have done it any other way and such a large mechanism needs to fit into a big case. Winding it up, after pulling away a little lever is quite smooth, however, it takes a fair amount of turns. As I love the process of “loading”, I don’t see this as a downside, but I’m sure that might be some people out there, who won’t like it. With fully winded, joined together two spring barrels, it can run constantly for 72hrs. And it does. There’s no point writing about its accuracy in case of the unit without the minute scale. It’s only worth mentioning that after 3 weeks it was slightly running fast (about 30sec). To finish with, a feature that might make frequent travellers happy. After pulling out the crown to position 2, the hour hand can move in 60min intervals. 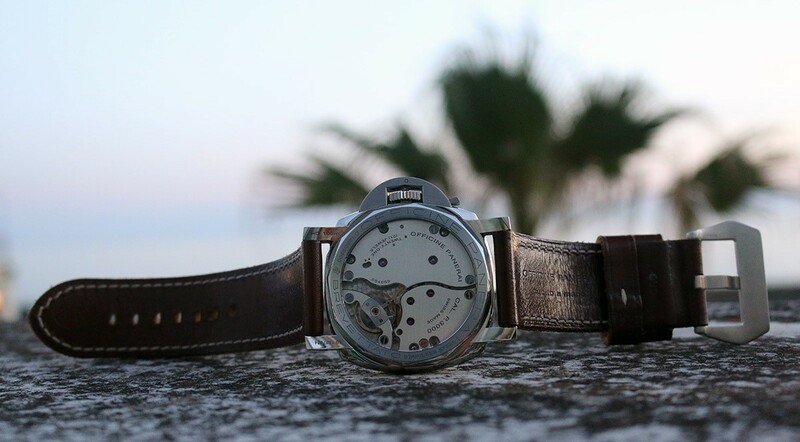 Such adjustment does not affect the calibre’s accuracy and the minute hand. Next, if we want to adjust time, we need to pull out the crown to position 3, ending it with pushing in the little lever, forcing the crown to go back to safe position 1. 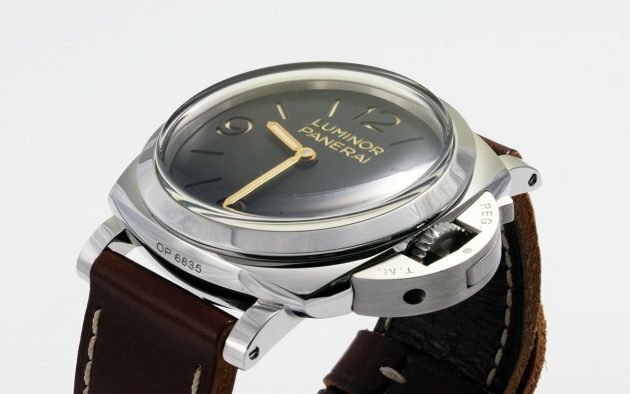 When in 2012 during SIHH show in Geneva PAM372 was presented, due to its huge 47mm diameter I didn’t even bothered to go and try it on. 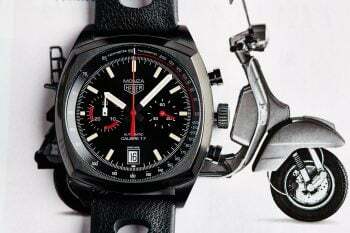 Even though I prefer hefty sports watches, this one seemed too massive as for my 7-inch wrist. 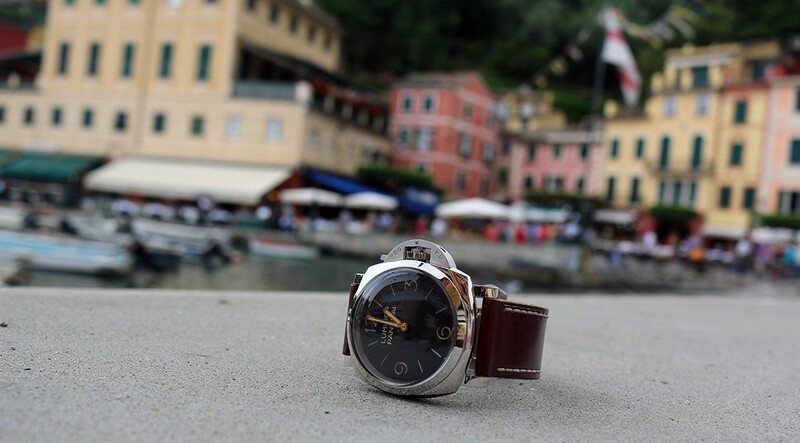 While planning this year’s holiday in Italy, I decided that the ideal companion for this time would be a timekeeper, whose history is connected with sunny Italy – Panerai. I was offered 4 models by the Richemont group, 3 of which were based on the same movement as already reviewed by us – Luminor 1950 10 Days GMT. 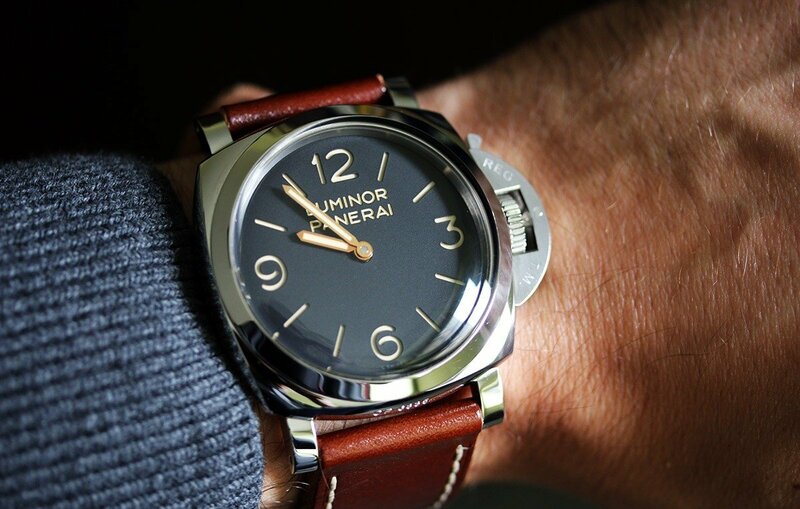 The last one was PAM372. I had second thoughts because of its size but I was advised that it’s worth trying… So I did and it was an excellent decision. I have been loosing sleep over 312, 111 and 112 models for the last few years. Three weeks were enough for a change of heart and PAM372 has been placed at one of the top positions of my wish list. 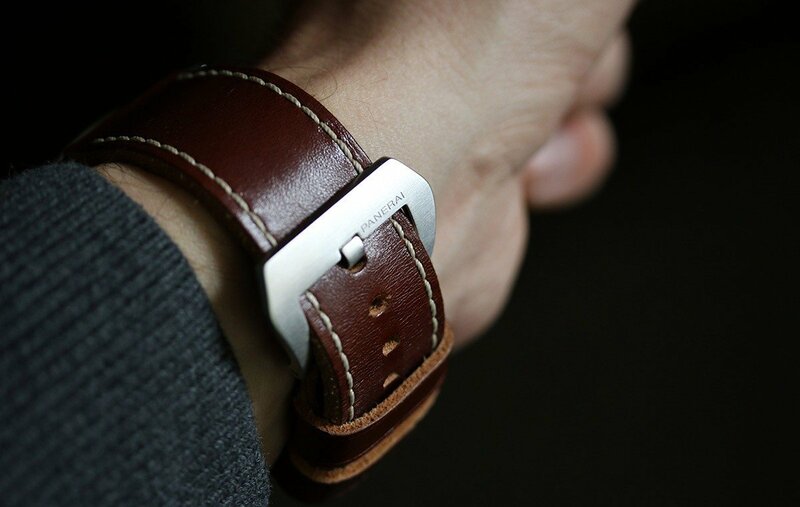 I was told by one of my friends that bulky watches look remarkably good on my little hand. There must be something in it. 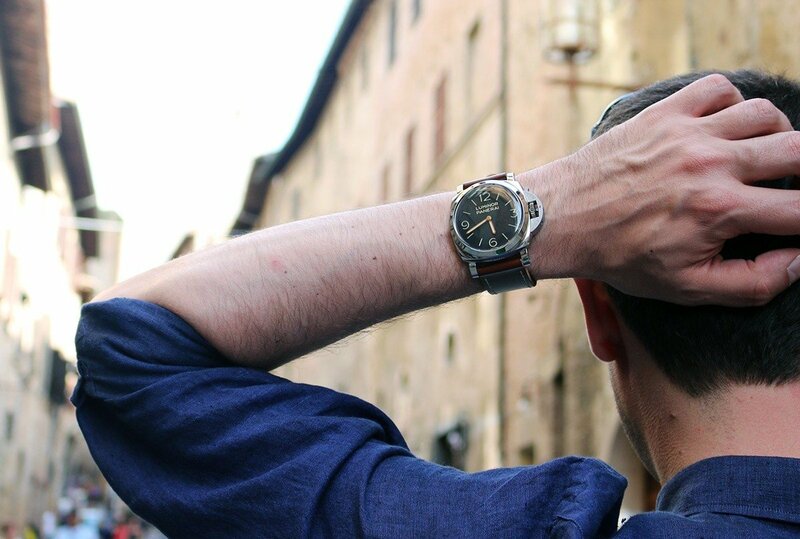 PAM372 thanks to its excellent shape fits the wrist unbelievable well, leaving user experience unaffected by its fair dimensions and weight. 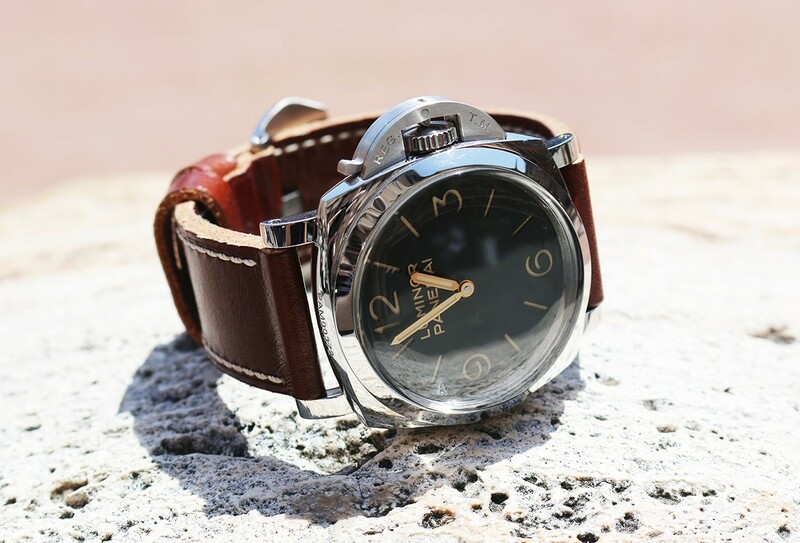 The reviewed PAM turned up with a thick, vibrant brown leather strap with ecru stitching, which went great with fair-sized case and a distinctive for the Panerai buckle. Unfortunately, just 3 weeks were enough for wear and tear starting to show. 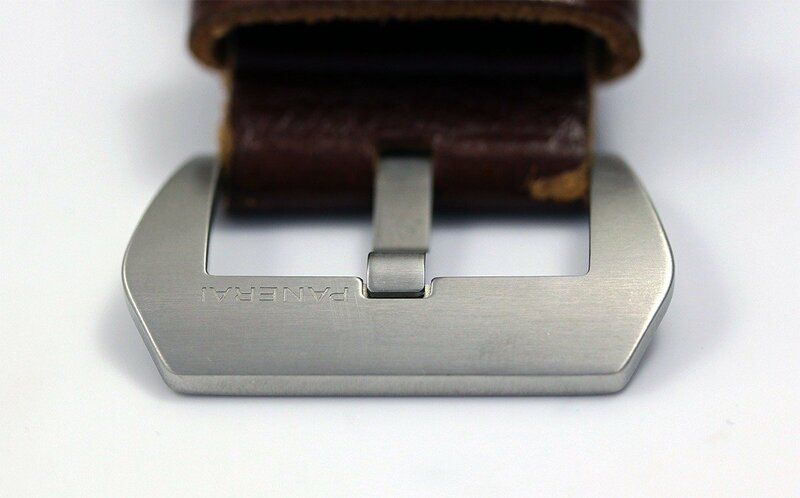 Although, I know that first thing to do, for a PAM lover is to replace the strap with a personalized, often custom-made one, the stock strap should last a little longer. 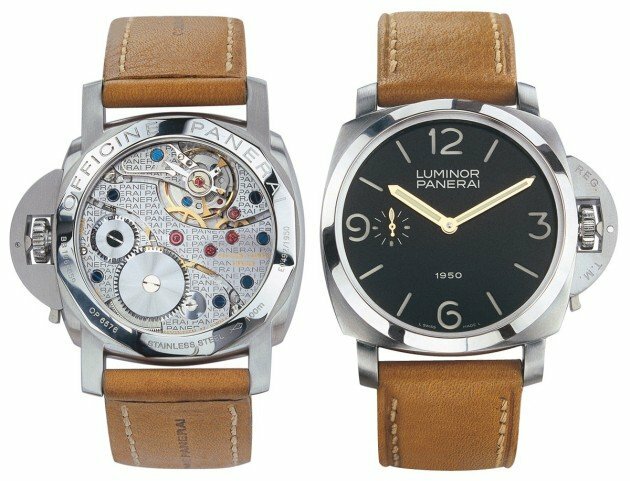 Panerai Luminor 1950 3 Days is the model that definitely suits me. There is no little second hand though, which would allow watching time pass nor a date window, which I often use. It also lacks the minute scale allowing more precise reading of time. But, in this case, all the missing elements are needless, as they would contradict the underlying idea of PAM’s 372 creation. 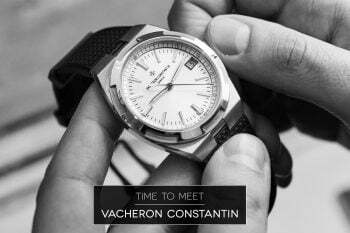 Even its huge size is not a drawback; the timepiece blends with the wrist perfectly, even with a small one like mine. The only downside might be its price, which needs to be paid for this simple double-hander – over 7.000 Euro. 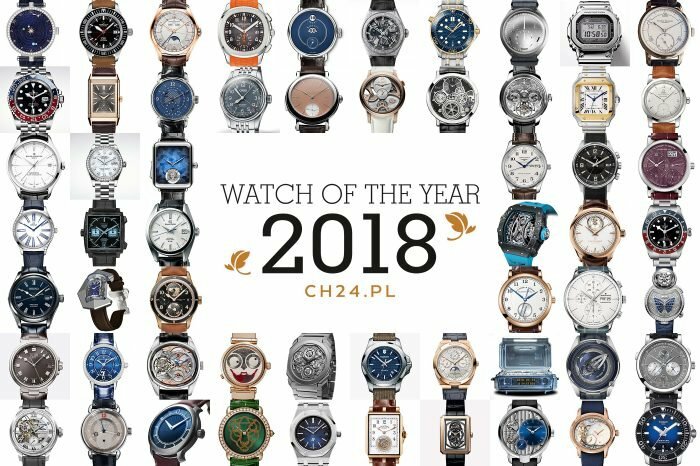 It’s a lot, even for a watch with an in-house movement. As long as there are eager buyers willing to pay such amount, this high price shouldn’t be shocking. Watch provided for testing by Officine Panerai.